People build relationships. Relationships drive business. 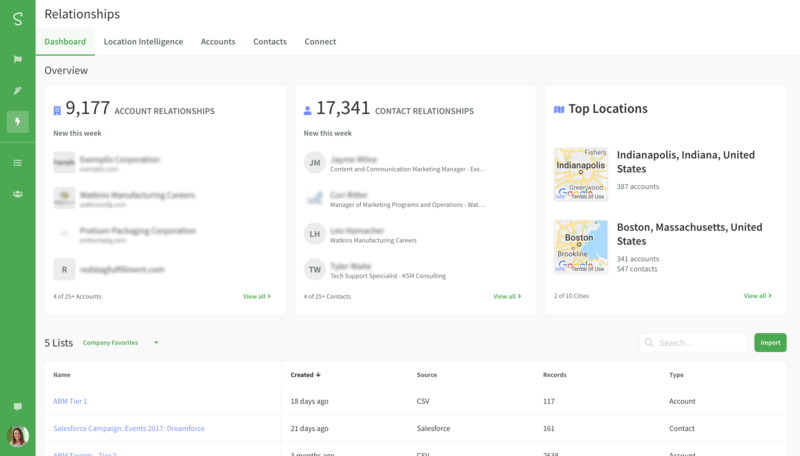 Sigstr Relationships delivers relationship intelligence that keeps Sales and Marketing aligned and hyper-focused on your most important locations, contacts and accounts. With your company’s relationships at your fingertips, you can select the right audiences and watch those relationships grow. Generate location specific lists of your company’s best contacts for event marketing. Build powerful lookalike and retargeting audiences. Follow the instructions sent by your Sigstr admin inviting you to use Sigstr Relationships. Alternatively, navigate to app.sigstr.com and sign in using your Google or 0365 credentials. Once you're logged in, navigate to the Sigstr Relationships section (lightning bolt) and start using any of the Sigstr Relationships features available to you. 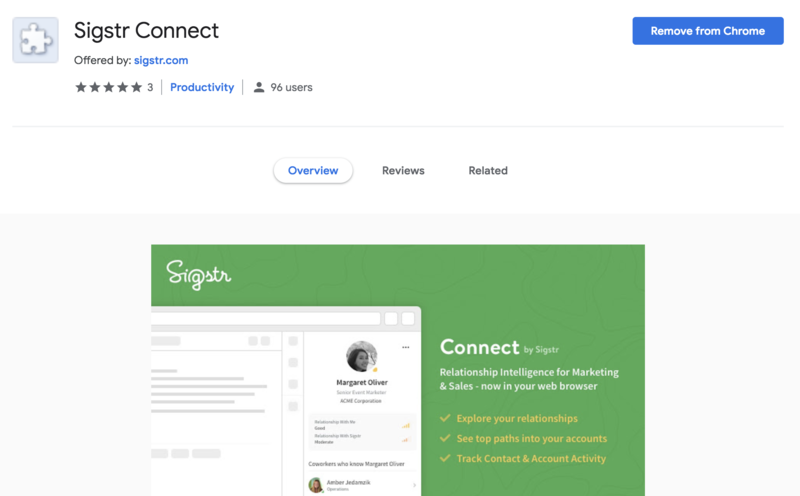 Install Sigstr Connect, Sigstr Relationships' Chrome Extension. The extension is linked to under the Connect section, or you can download it directly here. See all the relationships your coworkers have with a specific company or contact. Understand the strength of those relationships. Learn how those relationships have improved or degraded. Create warm introductions through the people you both trust. Build powerful location lists where people actually are. Understand the aggregate strength of your company’s relationships in an area. Make travel more productive by meeting with the right people. Plan better sales territories and field events based on network strength within locations. Visualize the relationships your team is developing within key accounts. Understand the aggregate relationship strength your team has with an entire account. See which contacts with accounts you know best and which you need to know better. Run highly personalized account-based marketing plays.